The Premier League returns this weekend as ​West Ham United host Everton at the London Stadium for Saturday's evening kick off. Both sides went into the ​international break with a victory after a mixed run of form, with the Hammers earning a dramatic three points in injury time against Huddersfield Town thanks to a brace from Javier Hernandez. ​Everton comfortably beat ​Chelsea by two goals to nil at Goodison Park last time out but the Toffees haven't registered back-to-back wins since January. However, Marco Silva's fortunes may be changing after picking up three clean sheets in four games. With seven games remaining, both teams are still in with an outside shout of the final Europa League qualification spot and a win for Manuel Pellegrini could see ​West Ham jump straight into seventh place. The hosts have no fresh injury concerns after the international break but Carlos Sanchez, Andriy Yarmolenko and ​Jack Wilshere are all still sidelined until at least the end of April. ​Manuel Lanzini recently returned from a knee injury and was fit enough to be selected for Argentina but the midfielder was an unused substitute for both fixtures, while Paraguayan defender Fabian Balbuena also turned out for his country for the full 90 minutes after a lengthy spell on the sidelines. 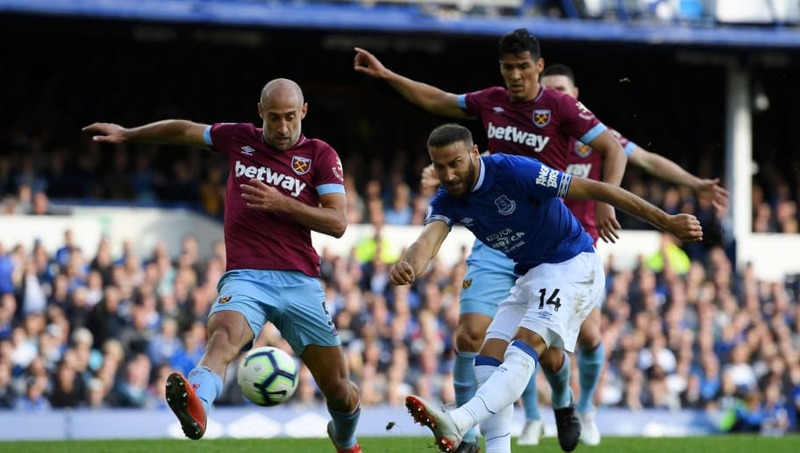 The Toffees haven't won away from home against West Ham since 2015 when an injury-time winner from ​Romelu Lukaku clinched the victory in the penultimate game of the season.  | Club football is back! All  on West Ham. Pellegrini has guided the Hammers to three wins from their previous five but the away defeat to ​Cardiff City earlier this month has blotched the form book. Captain ​Mark Noble is in surprising goalscoring form of late with three goals in his previous six matches, all from the penalty spot, while striker ​Javier Hernandez also built on his brace against ​Huddersfield with a goal for Mexico during the international break. Everton's win over Chelsea a fortnight ago will have lifted the mood around Goodison after the shock 3-2 defeat to ​Newcastle United the previous week, but after a recent run of six defeats in eight games, Marco Silva will be hoping to gain some momentum for the final stretch of this Premier League season.